New artwork | A board game about conflicts of interests in healthcare design. 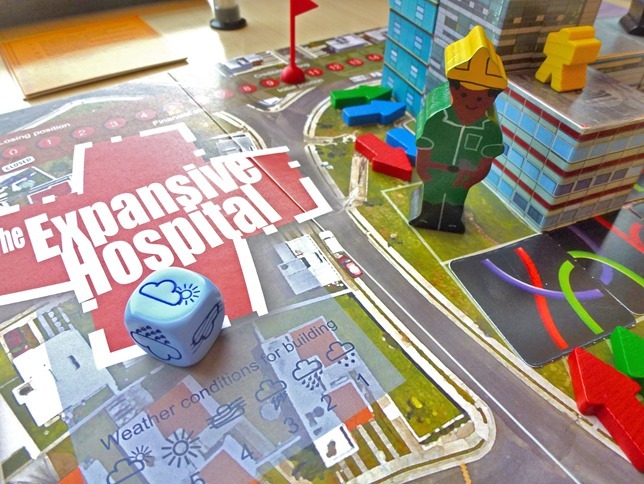 The prototype of The Expansive Hospital game received a new artwork, based on a more colorful palette and realistic textures. 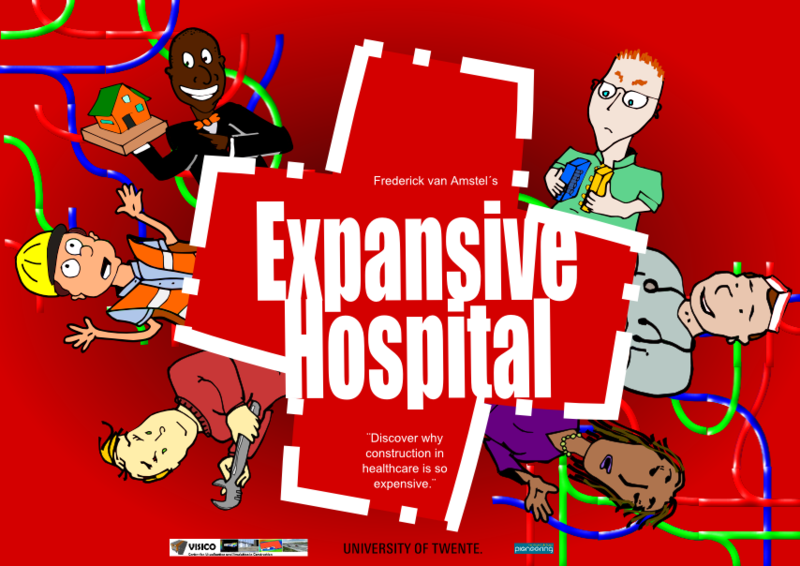 Since the game is going to be exhibited at the Dutch Design Week, we wanted to make sure it copes with the high quality standards. The patient card has now a clever indicator of patient satisfaction. 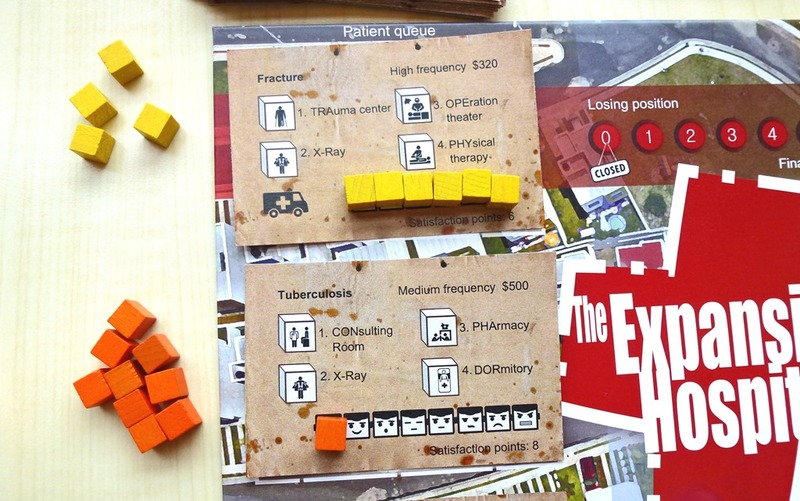 As the points are drawn, the emoticons printed on the card show the current state of the patient. If the patient becomes angry, he leaves the hospital and do not pay any money. Another addition ot the game is the weather dice, which limits the movements of the builder marker. This dice represents uncertainty in construction. Like in realife, a construction project can be postponed due to bad weather conditions. Another highlight are the characters of the game: the architect, engineer, nurse, director, facility manager and contractor. Each got their own illustration, suggesting the behavior during the game. The artwork was produced using open source software Inkscape with some graphics from CGTextures and The Noun Project.